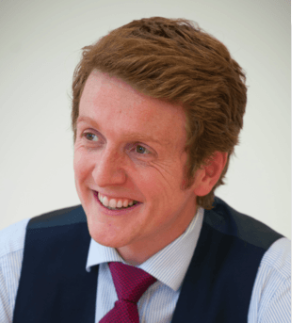 Appeals Barrister | Can I appeal my criminal conviction? “Can I appeal my conviction?” is the first question on most defendants’ lips after they are convicted. This fact sheet looks at the process for bringing an appeal against conviction. Below you will find a flowchart setting out the process that I am about to explain. If you have been convicted by a jury* then your appeal will be considered by the Court of Appeal (CA), which usually sits in London. An “application for leave to appeal” must be sent to the Crown Court using form NG. It should be lodged within 28 days of the conviction. This is really important, as it can mean preparing to appeal the conviction before you have been sentenced. The time limit does not run from the date on which you were sentenced. In some cases the CA can extend the 28-day time limit, but you should never take this for granted. After the CA receives your paperwork it will collect together any documents that it thinks the judge will need to see. This will include the indictment, a case summary, and it may include transcripts of the evidence and the trial judge’s “summing up”. Your case then will be considered “on the papers” (without a hearing) by a single judge. This is known as “the permission stage”. If the judge thinks you have an arguable case then s/he will grant permission to appeal and send the case to “the full court”. This means a hearing before 3 judges at the CA. That is known as “the appeal hearing“. In some cases the judge might not be sure whether to grant permission, but will send the case to the full court anyway. In many others, permission will be refused. If permission to appeal is refused you can renew your application before the full court. This is sometimes called a “renewal hearing“. Applying to renew an application for permission can be risky. If the CA thinks that the application is hopeless it can make what is called a “loss of time order”. This means that some of the time you have served in prison will not count towards your sentence. In other words, you will serve longer in prison. Alternatively, it can sometimes order you to pay the costs of the hearing. The possibility of such an order makes it all the more important that wherever possible you seek legal advice before renewing an application, and ideally before making one at all. In other posts I will discuss the availability of legal aid for appeals and give some hints and suggestions for the benefit of those appearing “in person” (without a lawyer). If you win your appeal then you might face a retrial, although it will depend upon the circumstances. I will discuss this more in another fact sheet. If you lose your appeal then you cannot appeal to the Court of Appeal again (ever) unless the Criminal Cases Review Commission (CCRC) sends your case back. The CCRC will be also covered in a separate fact sheet. *I will be preparing a separate fact sheet dealing with appeals from the magistrates’ court. Previous PostR v Jogee: Joint enterprise appealsNext PostWill I get legal aid for my criminal appeal?